Fence Builders West Palm Beach is staffed with fence installation experts who are proficient and dedicated to the job. We offer top of the line expert fencing services including: fence installation, gate installation, pool fence installation, sports facility fence installation, balcony rail installation, fence repair, gate repair, pool fence repair, sports facility repair, and balcony rail repair. By offering such a variety of fencing services, we can guarantee that each of our customers fencing needs will be fully met! One of our most popular fence is a privacy fence, but more specifically a PVC fence. A PVC fence (also known as a vinyl fence) offers versatile uses for every fence customer. You can have a PVC picket fence installed, a PVC privacy fence, even a PVC semi-privacy fence. This is what is great about the PVC fences offered from Fence Builders West Palm Beach. PVC is very versatile and looks great with any home or business. Fence Builders West Palm Beach offers PVC fence installation and PVC fence repair to all of our customers here in Palm Beach County. While the PVC fence installation process is thorough, it is very effective and stress free for our customers. Fence Builders Palm Beach will help you design your custom PVC fence during your initial consultation. After that point, we take care of the rest! Our expert fence installation team will be sure that your fence is properly laid out around your residential property or commercial property. We also take care of any permits or special permissions from the state, county, city, and even from HOA or other communities. This allows us to make the fence installation process simple and stress free for all of our customers. Our fence materials are always made of the highest quality material, and our expert fence installers treat our fence materials with the utmost care. Your PVC fence will not only be the highest quality of fence material, but it will also be installed without any damage. Like any fence, a PVC fence may need some repair. Perhaps someone has driven through your PVC fence, or even if you PVC fence is simply just leaning. When it comes to PVC fence repair, Fence Builders West Palm Beach will come out to your home or business to perform that repair on your PVC fence. 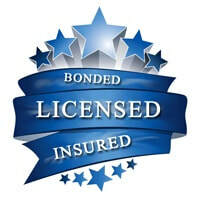 Unlike other fencing companies, Fence Builders West Palm Beach does not take reason of repair into consideration. We understand that sometimes life just happens, and maybe that just happens to your PVC fence. If your PVC fence needs to be repaired, Fence Builders West Palm Beach will repair your fence! 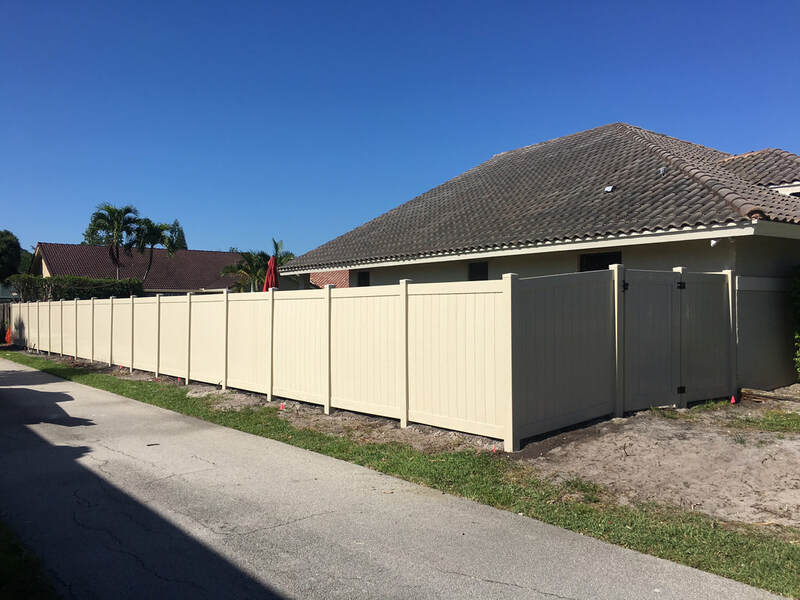 Whether you need to have a PVC fence installed or a PVC fence repaired, Fence Builders West Palm Beach is the best option when it comes to fencing companies and professional service. We are here to offer top of the line fencing services and the highest quality PVC fence materials. 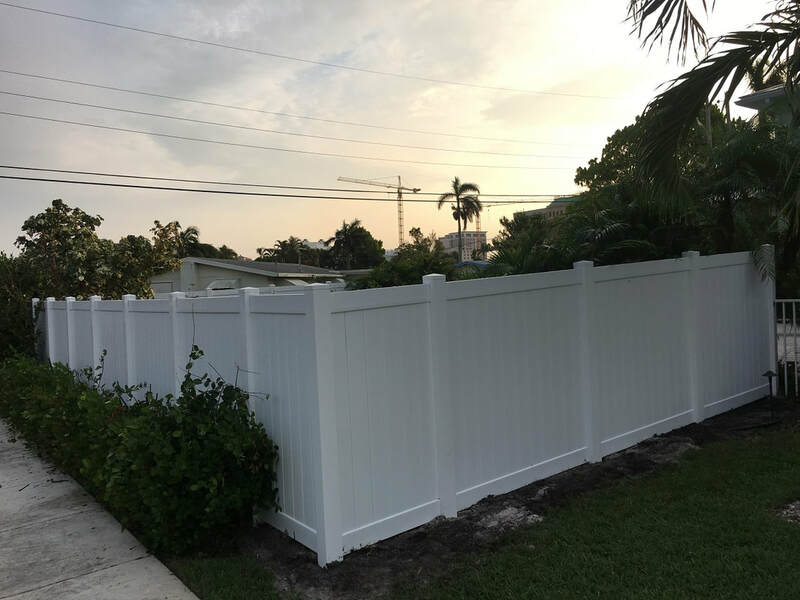 If you are looking for a PVC picket fence, a PVC privacy fence, or even a PVC semi-privacy fence, Fence Builders West Palm Beach is here to provide you with your own custom PVC fence.